I have always been a huge Yoko Kanno fan even before I knew who she was. I heard her music in most of my favorite Anime growing up that when I became a musician I knew I’d have to learn her tunes. the first piece of her music and quite likely the first anime tune that really caught me was this piece Voices. it was in the anime Macross Plus. As a side note I, along with friends, role played the Macross saga during the early 90’s. 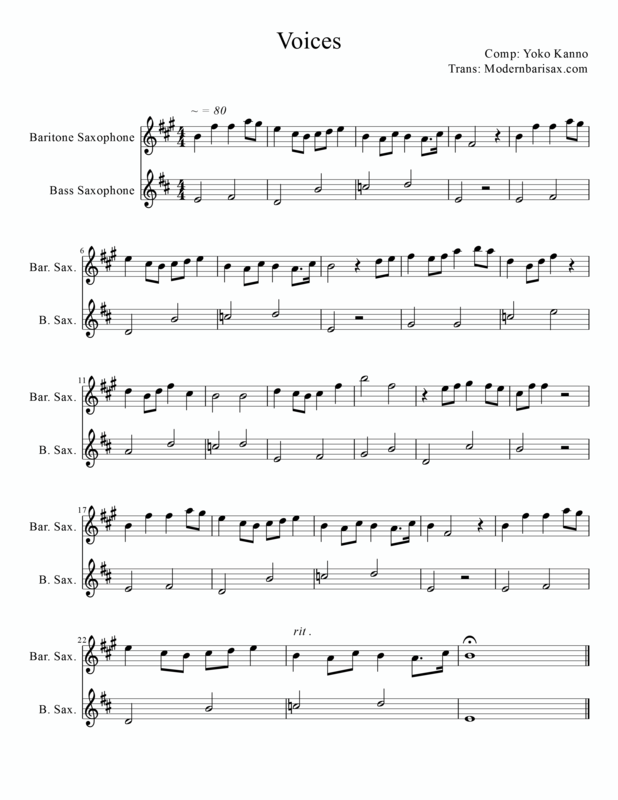 Here is my transposition of a version I found online for two voices. In this case it’s set for a baritone to play the lead line and the bass to complete the harmonies. The song is haunting and somewhat melancholic. I recommend playing this piece with “molto espressivo” and try not to rush it. Also, breath marks are not written so good breath support are important. 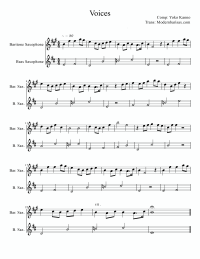 Also I recommend practice this with a metronome set to what ever tempo you prefer. Keeping good time makes the retard at the end more dramatic. The version below is nice if not just a bit slow. The lyrics are included below. sotto tokihanatsu The third word was “hum”..